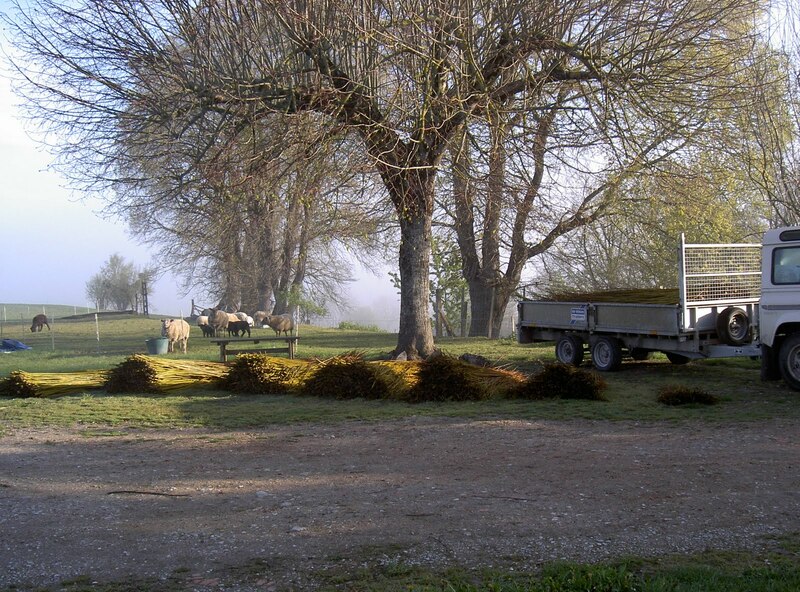 Well the daffs have flowered and faded since my last blog, which is an indication of just how busy we have been. 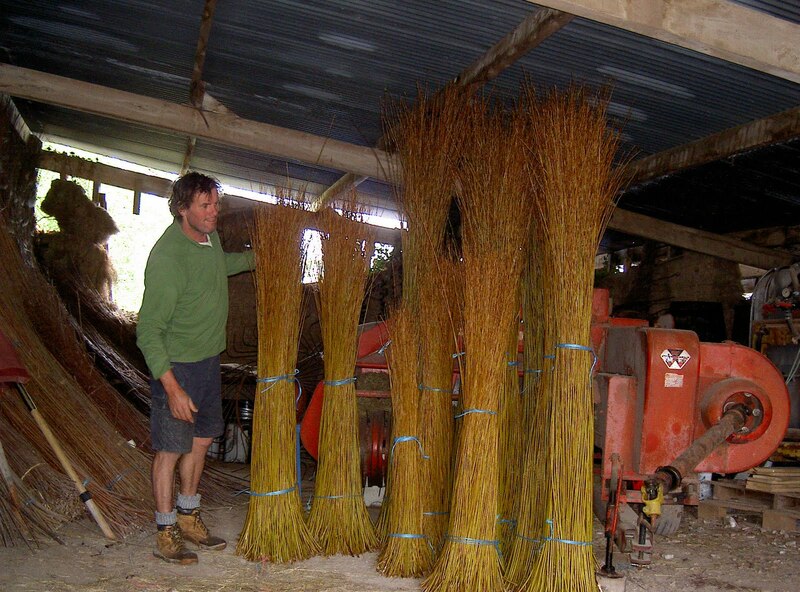 All the willow that needs to be cut for this year has been cut and we have plenty of poles for yurt building which are now waiting to be peeled ready for next year’s yurts (we’ve even got long roof poles for 6 metre diameter yurts, which I hope to build one day). 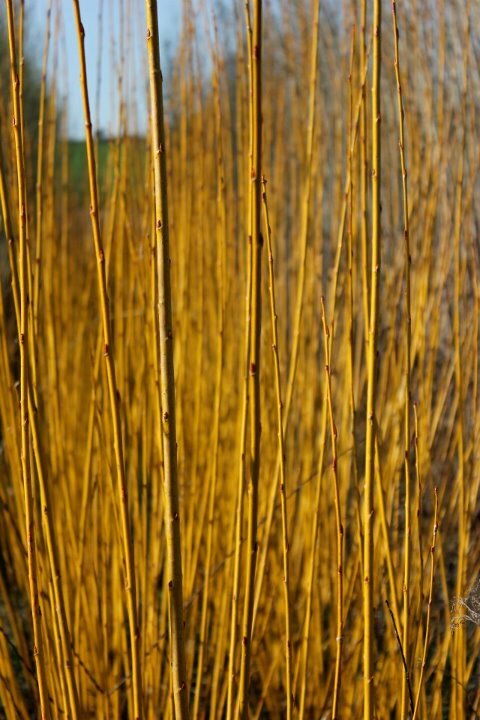 We have had a really good crop of Salix Purpureum for basket work and the Salix Triandra isn’t too bad considering the drought we had last summer and as a bonus we also have lots of willow chippings for mulches from all the off cuts as well. 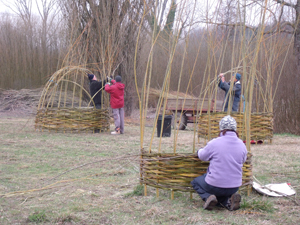 We managed to run a couple of living willow bower courses down at the plantation, always a good day with a big three course lunch and wine to break up the physical and mental strain of forms, shapes and weaving techniques. It’s always a bit comical to see the bowers leaving on top of peoples cars at the end of the day, huge voluminous baskets precariously balanced heading off down the hill!! 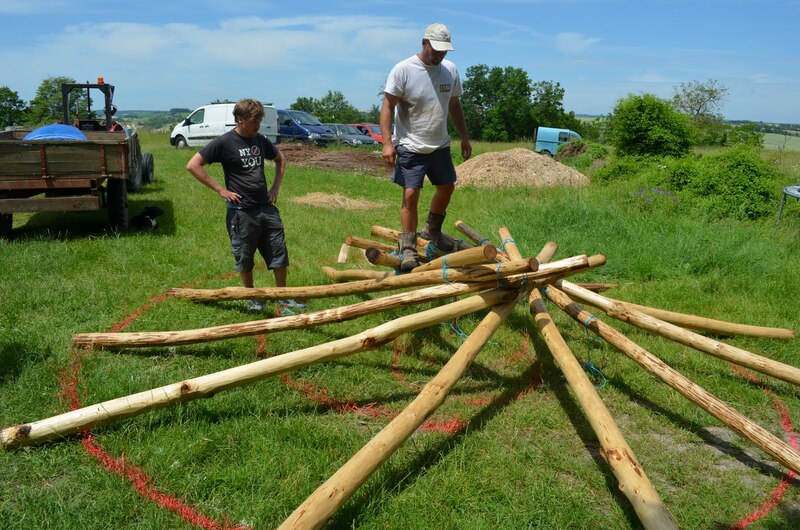 Work on the roundhouse is gently moving forward, all of the verticals have been cleaned up and oiled after the worst of the winter weather and the henge is basically made but not fitted and all of the rafters are ready to go on. We have done a mock-up reciprocal roof on the lawn to try to work out angles and spanning and the central opening size, it seemed to slot together well and was very strong, all reassuring stuff! 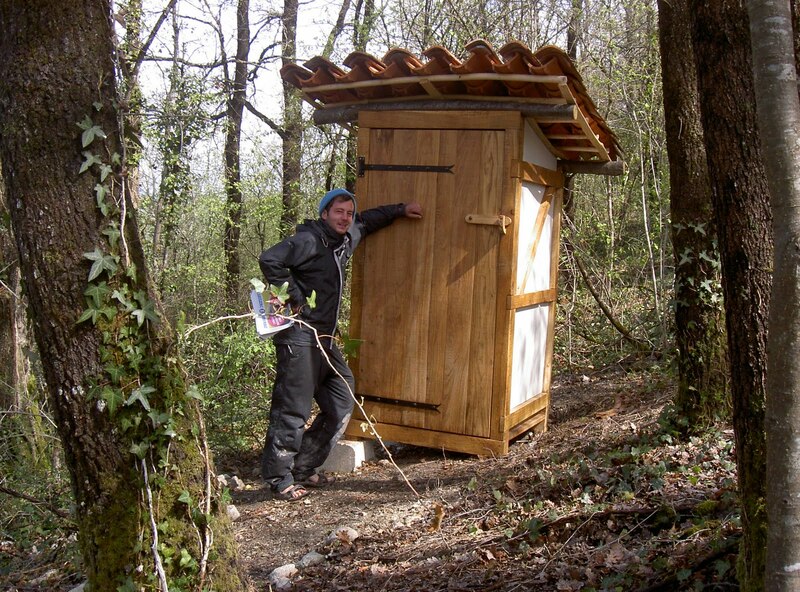 The Bodgers’ Yurt composting toilet is now in position and a beautiful thing it is too, thanks Kit, great work! The lambing is all but finished now with just one more expectant mum in the group, mainly singles this year but at least we’ve had a few more ewe lambs than last year to bring some young blood into the flock. Males in agriculture, as in life some would say, generally have a bad time of things ending up on the plate much sooner than females! 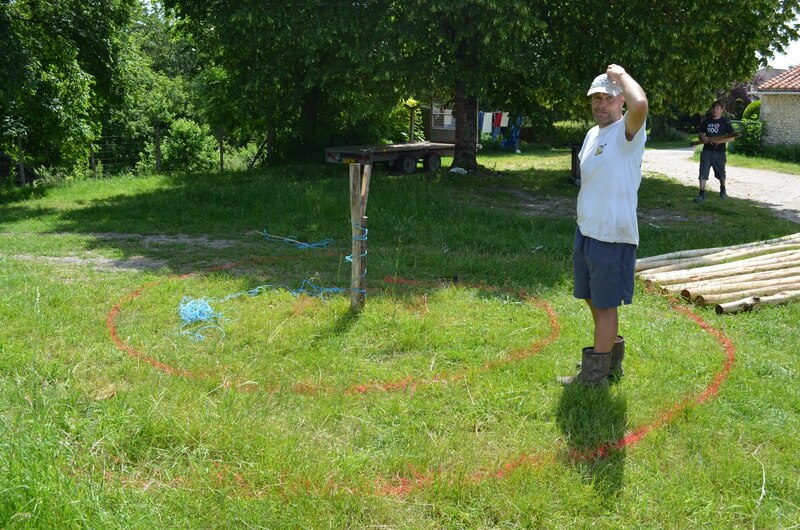 It’s not long now until the yurts will be up and running again, it all seems to have come round very quickly as usual, I shouldn’t be surprised anymore!